For an animated film to take on such real and harsh human experiences is unusual within itself; but The Prince of Egypt does so almost unflinchingly, without extra sugarcoating or condescension toward the presumably, and largely, youthful audience. 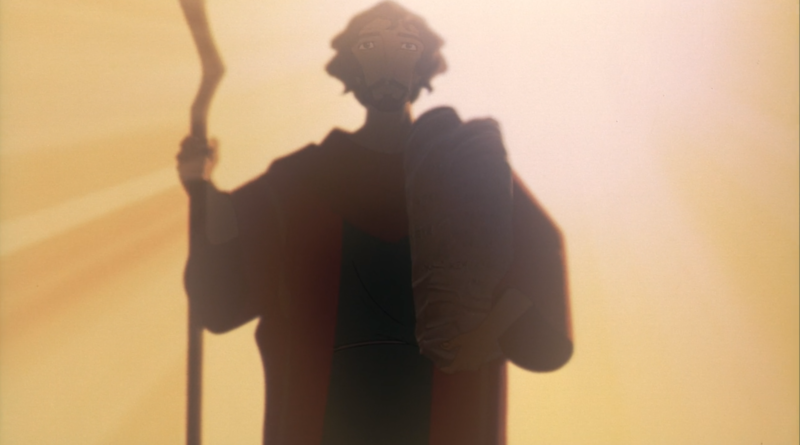 An immersive film, often praised for its beauty, The Prince of Egypt was created with a determination for detail. A crew of 350 people, from over thirty different nations, some pulled from Disney or Spielberg’s disbanded Amblimation, worked tirelessly to create the over 1,190 scenes in the film. 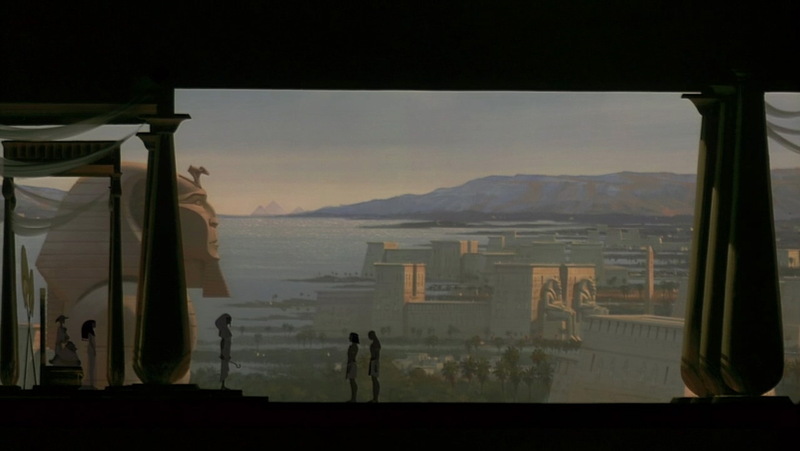 Visual development, headed by art directors Kathy Altieri and Richard Chavez and Production Designer Darek Gogol, meant a visual style reflective of the grand scale and architectural monoliths of Ancient Egypt, with wide spanning views of the buildings, monuments, and locations. Over 930 hand-painted backgrounds were created alone – and the artistry shines through in every scene. That level of detail carried through in other areas of the film, from the studious depictions of the various ethnicities seen in the films–Egyptians, Hebrews, Nubians, etc.–to the special effects departments extensive animations for everything non-character. 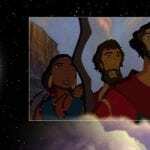 The blend of traditional animation and computer-generated imagery comes to the forefront, for example, in scenes of the plagues through Egypt, the incredible parting of the Red Sea, and Moses meeting with the Burning Bush. While the music department of most animated films focuses solely on the music, sound editor Lon Bender worked with this music team on a new and inspiring challenge: creating the voice of God. Using that inner voice, something so familiar and real, to create a God that truly does feel like part of his own believers. The scene of Moses and the Burning Bush is one that moves the senses and the spirit in a way of comfort, rather than overwhelming with sheer power or striking fear into the hearts of men. 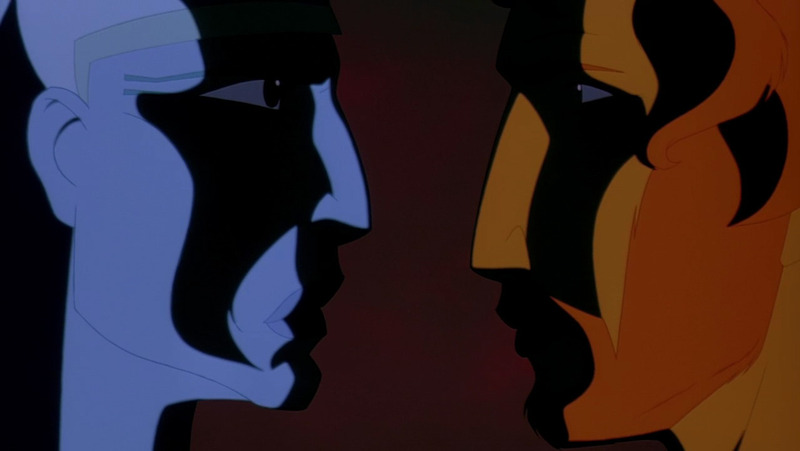 Stephen Schwartz, known for songs and music in several animated films, began writing songs for The Prince of Egypt from the beginning of the production stage, evolving the music as the story itself evolved. As a fun fact, Brenda Chapman herself sings Miriam’s reprise of mother Yocheved’s “River Lullaby.” Originally intended as a scratch audio track, the recording was so well liked, it remained in the film as a loving personal touch from the director. Hotep and Huy’s number, “Playing with the Big Boys,” is often the song of controversy, on the other hand. Some feel the song is too light, too out of place. But despite the comic value of Steve Martin and Martin Short, that comedy is generally underplayed throughout the film. There are few moments of outright humor, if any, punctuated with little slapstick. “Playing with the Big Boys” feels sinister, not humorous, the song of two questionable priests attempting to frighten off a man who threatens their comfortable positions, their revered status, their very lives. To me, this never felt like a comedic song to lighten the mood. The score itself, composed by the incomparable Hans Zimmer, is gorgeous and embracing, sweeping over the film with strength. Zimmer’s score expands the film even further, serving as yet another beautiful way to touch the audience’s spirits. A film of determined accuracy, of comprehensive detail, The Prince of Egypt stands as a breathtaking film in the DreamWorks Animation canon. Released in December 1998, the film was the second non-Disney animated feature to gross over $100 million in the US box office; it stood as the top-grossing non-Disney animated film, until the stop-motion Chicken Run in 2000, and the highest grossing traditionally animated non-Disney film until Fox’s The Simpsons Movie in 2007. Although critical reception places it at mid-range, the film received high praise from multiple critics, for its beauty and its story. The Prince of Egypt’s craftsmanship and devotion enables the film to become its own small miracle: a story from a religious mythos drawn back to the human experience, to be embraced by any audience, regardless of their religious faith, or lack thereof. 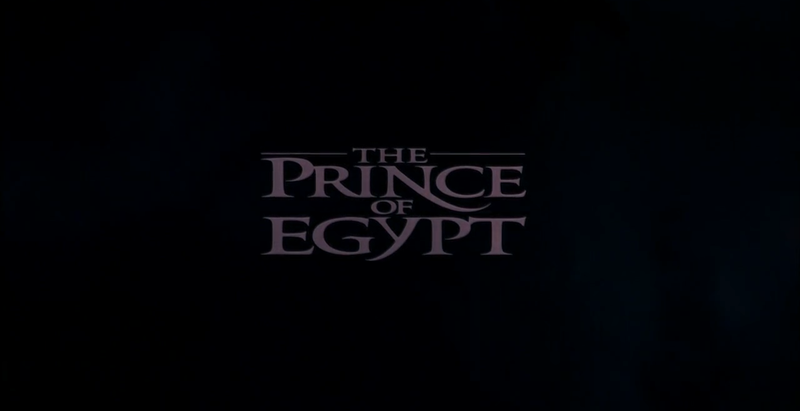 The Prince of Egypt is not merely an adapted animated story from the Bible; the film is a story of a people, led by a humbled man, and lifted by courage against injustice and oppression, a story that resonates just as easily with today’s audiences as it did with the film’s international audience in 1998. The Prince of Egypt stage musical will debut at TheatreWorks in Palo Alto, California on Oct 14, 2017.